We're shaking things up this week. To enter this contest you will be required to attend our special INSIDERS PARTY ROCK event on October 14th @ 6:30pm eastern. You will need to take a image from the event & post it on this thread, which will open SUNDAY during the event. Good luck! 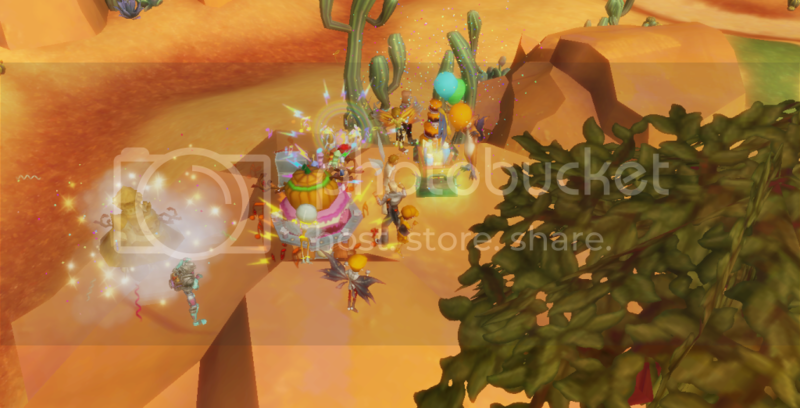 Image must be from our INSIDERS PARTY EVENT taking place October 14th @ 6:30pm eastern. Image must be appropriate, and follow the rules of FRI. Please do not copy or enter another player's image. Please do not alter the image in any way besides cropping. Images which do not follow these guidelines will be disqualified. OCTOBER 14th @ 6:30pm EASTERN. Last edited by Ashley Preciousfable; 10-14-2012 at 07:20 PM. I was just wondering, where is the party and how long until entries close? Thanks! This week's contest will feature a special event on Sunday, October 14th, at 6:30pm EST // 5:30pm CST // 3:30pm PST. Join the Insiders on our new Sunstone Valley Party Rockto chat with our forum members, staff, and guild members. It's sure to be a spooktacular good time! Not sure when the party will end. Truthfully it depends on how many people we have & how long I can stay awake. I've been out from early morning to late afternoon all weekend. Probably an hour. The contest will close at midnight tonight (as per usual). Oh, I have no idea where the party rock is, lol, or what server you are on. Could I get an invite, by chance, please? My IGN is Elura Elurae. Thanks! Edit: Oh never mind, the link didn't work because my pop up blocker was on. I see where the party rock is now. I'll try and find you. Last edited by Elura; 10-14-2012 at 06:33 PM. Terra and copperjake like this.